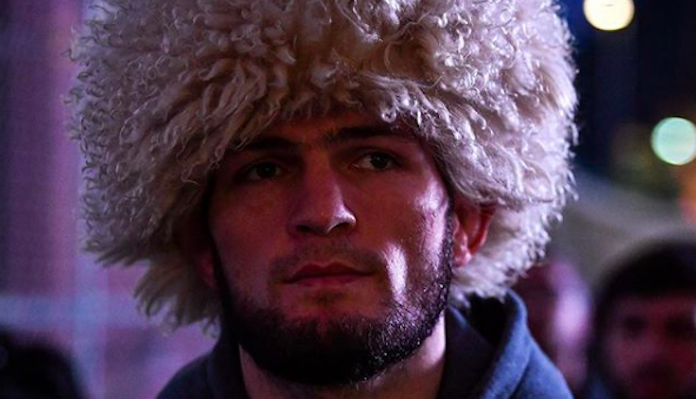 Current UFC lightweight champion Khabib Nurmagomedov did not agree with the judges scorecards from tonight’s UFC 236 Dustin Poirier vs. Max Holloway fight. Poirier and Holloway went to war for twenty five minutes in tonight’s pay-per-view event from Atlanta. After a dominant opening round from Poirier, Max Holloway seemed to be turning the tide in round three. However, Poirier survived the Hawaiians mid-fight surge and proceeded to go toe to toe with “Blessed” for the final two rounds. After twenty-five minutes of back and forth action the fight went to the judges scorecards for decision. All three judges scored the contest 49-46 in favor of Dustin Poirier. With the victory, “The Diamond” became the promotions interim lightweight title and secured himself a title unification bout with Khabib Nurmagomedov. Shortly following the conclusion of tonight’s UFC 236 event, Khabib took to Twitter where he disputed the judges ruling while seemingly congratulating both combatants on the fight. 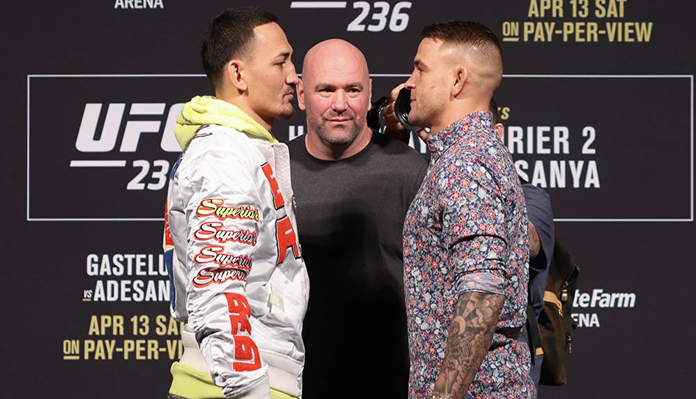 How did you score tonight’s UFC 236 main event between Dustin Poirier and Max Holloway? Do you think “The Diamond” can hand “The Eagle” his first ever loss this September? Sound off in the comments section Penn Nation!